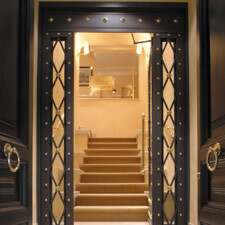 A brand new luxury residence which opened in 2005. 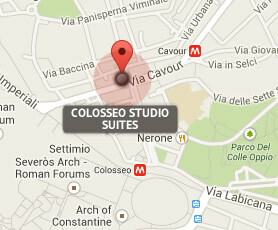 Located only 50 metres from the Colosseum and Roman Forum the Colosseo Suites provide ideal accommodation for guest’s looking for quality apartments in the city centre of Rome. All apartments are fitted with a high-tech climate control system and contain private en-suite bathroom and kitchen corner. In addition there is a DVD player, Plasma Wide Screen TV with international satellite channels and a Hi-Fi Stereo System.